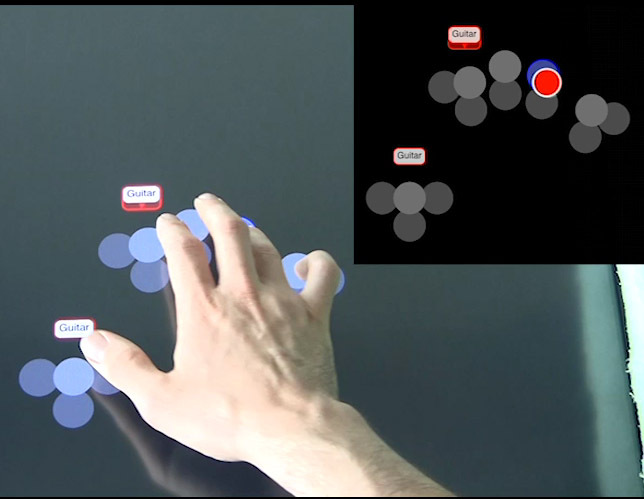 Abstract : This paper presents Arpège, a progressive multitouch input technique for learning chords, as well as a robust recognizer and guidelines for building large chord vocabularies. Experiment one validated our design guidelines and suggests implications for designing vocabularies, i.e. users prefer relaxed to tense chords, chords with fewer fingers and chords with fewer tense fingers. Experiment two demonstrated that users can learn and remember a large chord vocabulary with both Arpège and cheat sheets, and Arpège encourages the creation of effective mnemonics.